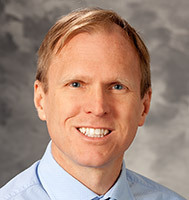 Dr. Mark Beamsley earned his medical degree from the Loyola University Chicago Stritch School of Medicine in Maywood, IL. He completed his residency at the University of Wisconsin Family Medicine Residency Program, Madison, WI. His special interests include obstetrics and cardiac stress testing.